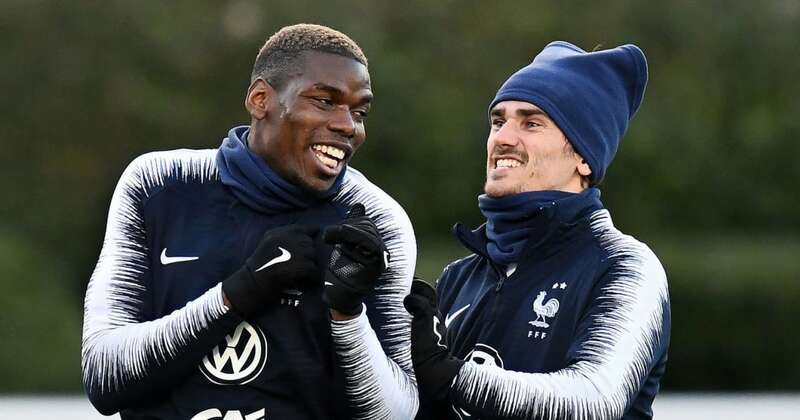 ?Manchester United midfielder Paul Pogba and Atletico Madrid striker Antoine Griezmann have bought each of their teammates an NBA-style Championship ring to commemorate France’s success at the 2018 World Cup in Russia. Reports of the idea emerged last year, but according to ?Get French Football News, the gifts have now arrived as the France squad prepare to take on Moldova and Iceland in their opening two UEFA Euro 2020 qualifiers. Pogba himself also unveiled the rings in a group photo of all the ring-wearers on his official Instagram, where he gave out a special shoutout to Chelsea midfielder ?N’Golo Kante, who was apparently especially touched by the present.